Every dish on the menu tells the unique story of the Vasquez Family and their first restaurant Poncho’s, which opened in South Phoenix in 1972, showcasing the family’s signature, time-tested recipes for authentic Sonoran-style Mexican Food. Heirloom recipes perfected at home, with Nana – Isabel Vasquez – lovingly preparing all of the family’s favorites in her small kitchen, as her nietos waited patiently nearby to taste and share. 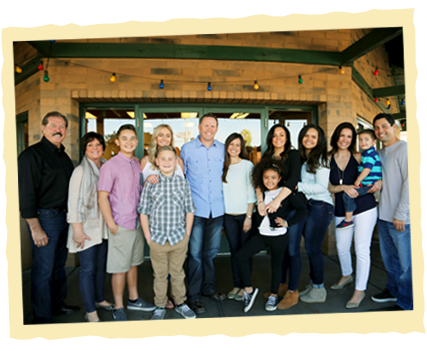 Now with multiple locations in Arizona, there are more opportunities than ever to experience the warmth and time-honored traditions of the Vasquez family.